Sharing the responsibility for paying bills is a fundamental part of most marriages. If a couple divorces, the parties or the court must determine how to properly divide the marital debt and one or both spouses may be interested in eliminating obligations incurred as part of a divorce settlement. However, federal law places specific limitations on the type of marital debts that can be discharged through bankruptcy. Most states allow couples in a divorce to specify by agreement how marital debt should be divided. If they cannot agree, the court will apportion the debt based on state law. Some states treat debt as community property and divide it equally between spouses, while other states allocate the debt according to what is considered "fair." In considering what is fair, a court will look to several factors, including each spouse's ability to pay. When it comes to the discharge of marital debts, Federal law allows you to file under either Chapter 7 or 13. In a Chapter 7 bankruptcy, a trustee will sell off your eligible assets, if any, to pay your creditors in order of priority. After the sale, any outstanding debt is discharged and you are no longer responsible for paying it. No property is sold in a Chapter 13 bankruptcy. Instead, a repayment plan is put into place based on your income, to be paid over time. Federal law provides specific exceptions to discharge for marital debts. In a Chapter 7 bankruptcy, if the bill was either incurred during a divorce or separation or in connection with a marital settlement agreement, divorce decree or other court order, it is not dischargeable. This covers most bills and includes unsecured debt, such as credit cards, which are normally dischargeable. By contrast, this exception does not apply to Chapter 13 bankruptcy filings, which does allow discharge of unsecured marital debts, even those incurred during the divorce. However, if the purpose of the debt is to support the other spouse or children of the marriage, it may not be discharged under either Chapter 7 or 13. 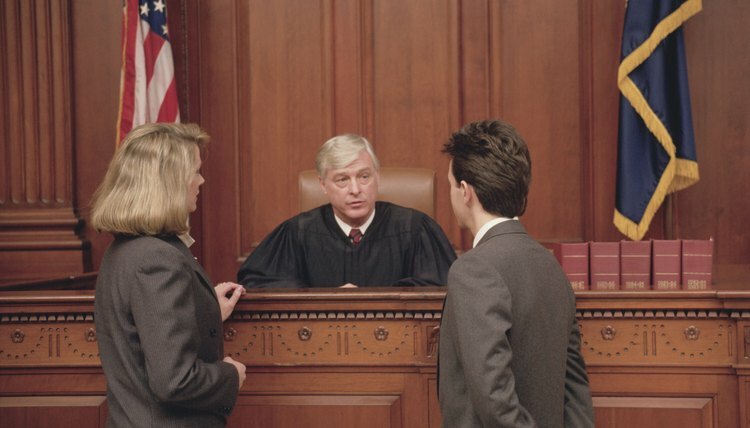 These are known as domestic support obligations, or DSO, and courts have interpreted the definition to cover more than just traditional spousal or child support and include health insurance, payment for a spouse's interest in a business, obligations to pay tax liabilities, and retirement and disability plans. In cases where a couple co-signed on a debt, such as a car loan, either the parties or the court may insert an indemnification clause into the divorce decree or settlement agreement. These provisions are meant to protect against a scenario wherein the debt balance is assigned to one spouse who then discharges the debt through bankruptcy, leaving the other spouse potentially liable to the creditor. Thus, an ex-spouse is prevented from later arguing during a Chapter 7 bankruptcy that the debt was not made in connection with a settlement agreement or divorce decree. The indemnification clause creates a new obligation at the time of divorce and is not dischargeable. Indemnification provisions do not have the same strength in Chapter 13 bankruptcy, where the only concern is whether the bill was in the nature of a DSO. This means that the indemnification provision would not protect against discharge of a co-signed debt. In fact, the only recourse a spouse has in this instance is to participate in the case and try to persuade the court that the debt is either a DSO or the repayment plan must include the debt to ensure the total amount to be repaid equals or exceeds that which would be recovered in Chapter 7 liquidation. A credit card balance may become a significant financial burden when spouses divorce, especially if neither spouse has adequate resources to pay the debt. In New York, the court may assign responsibility for credit card debts as part of a divorce judgment, or the spouses may voluntarily agree on who will pay the debts. In either situation, you should understand the rights established by New York divorce laws and federal debt laws. Accordingly, you may choose to seek professional help.